You might feel a lot of excitement at the prospect of creating a new bathroom for your home. The focal point is most likely going to be the shower, and you have important choices to make. Doing things wrong could mean doing them again. 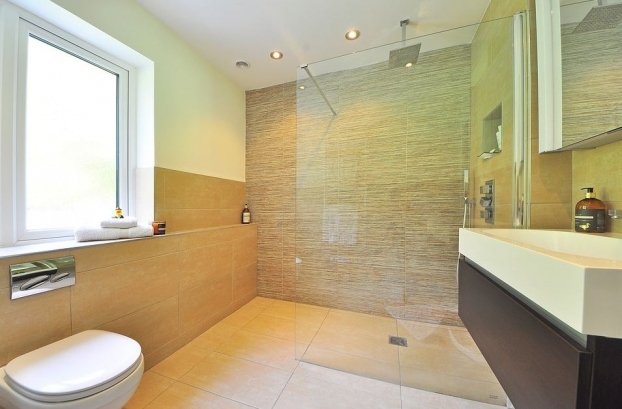 Here are some things to keep in mind for your shower as your bathroom project moves forward. The first thing you should ask yourself is: Who will be using this shower? If the answer includes children, you might want to avoid delicate or breakable materials. If seniors will use it, depending on their age, the same rule applies, but there are also mobility issues. Elderly family or guests may need things like safety rails, shower seats, convenient shelving or niches, or walk-in showers vs a tub-shower combo. You should also provide a surface that provides good traction on the shower floor to avoid slips and falls. An attractive bathroom has a stylistic theme, such as custom tile, vintage, modern, spa, or luxury looks. The shower should complement the style you’re going for, not clash with it. Vintage looks might include an antique porcelain or claw-foot tub, or luxury showers be spacious with multiple shower heads. Don’t overlook partial walls rather than full enclosures. Small windows in the shower also look intriguing and provide natural light. Your shower fixtures should also be consistent with the rest of the bathroom in style and materials. You might want fixtures that are graceful, ultra-modern, made of bronze or brass, or incorporating additional materials such as porcelain. You can find adjustable modern fixtures that give you the option of wide, focused, and pulsed streams of water. If you’re environment-friendly and have water conservation in mind, some vintage-look fixtures may feature aeration or other water-saving features. Techies can find “smart” fixtures with digital readouts that are motion-activated or allow you to program water temperatures or flow rates. You have many possible choices, including custom tile arrangements. Hand painted or hexagonal tiles can give an antique look. Stones like marble or granite are always impressive and in style. Also, you rarely go wrong choosing glass for the shower stall or doors. Check with a local glass company like Valley Glass Utility to explore options like frosted, stained, engraved, or other glass options. Glass shower enclosures are practical in that they’re not only handsome, but easy to clean and will admit plenty of light. Whether you’re experienced at DIY projects or choose to hire a contractor, the important thing is to settle on a stylistic vision first. Then you can narrow it down to the right materials for your tastes and budget. Next story Why You Do Not Have A Partner Yet?